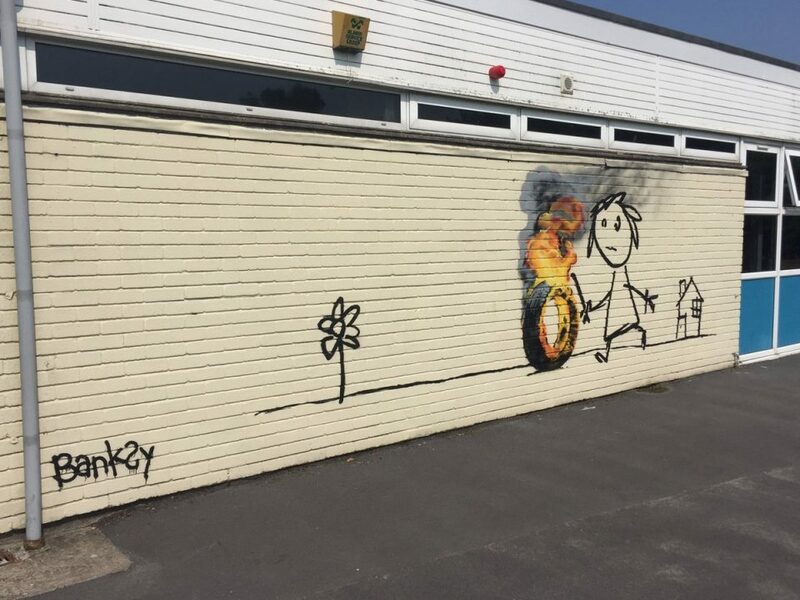 Best known for biting political commentary and poignant artistic critiques, mysterious artist Banksy showed a somewhat friendlier side of his personality in gifting a mural to elementary students who named a building after him. 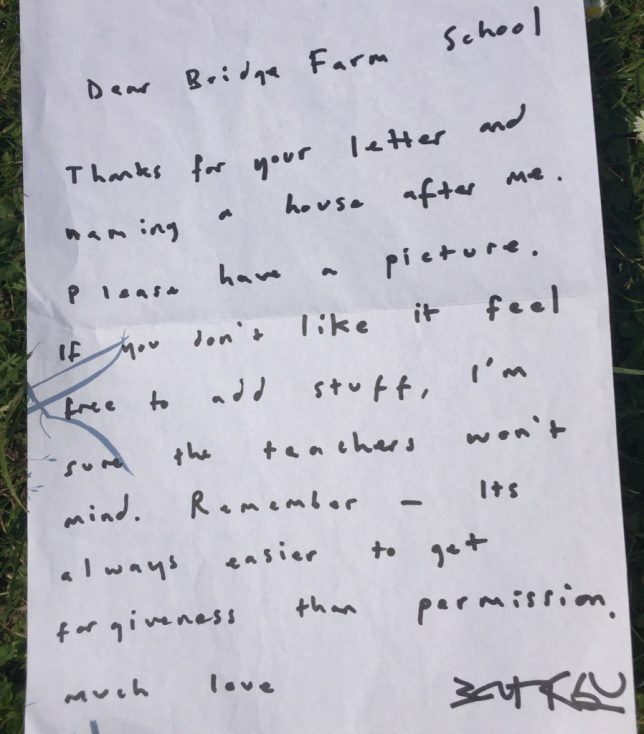 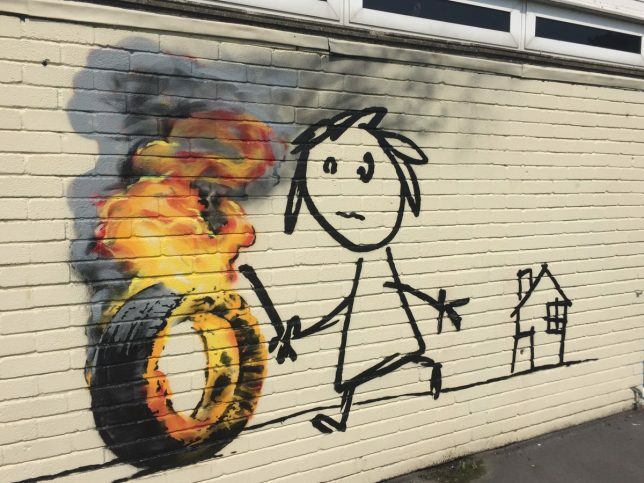 Students at the Bridge Farm Primary School in Bristol, thought to be the anonymous street artist’s hometown, renamed several campus structures in a contest. 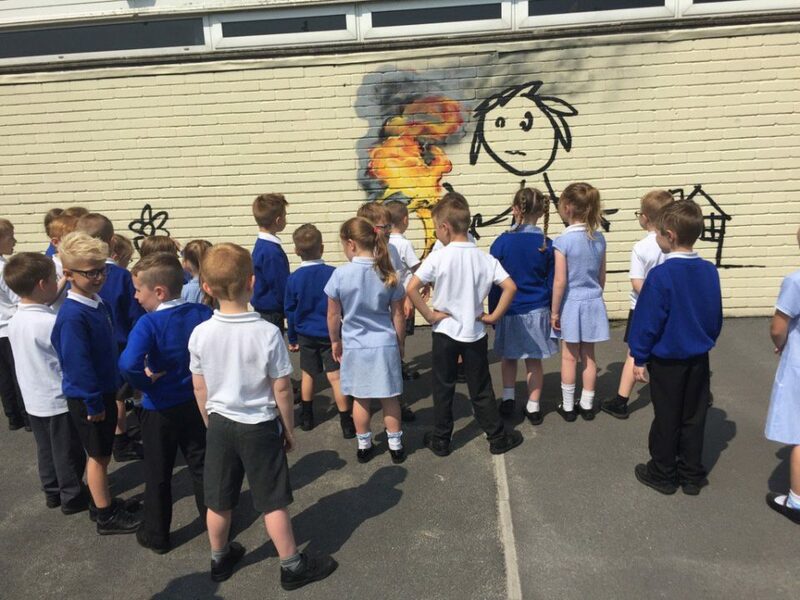 Among the winners were Blackbeard, Cabot and Banksy. 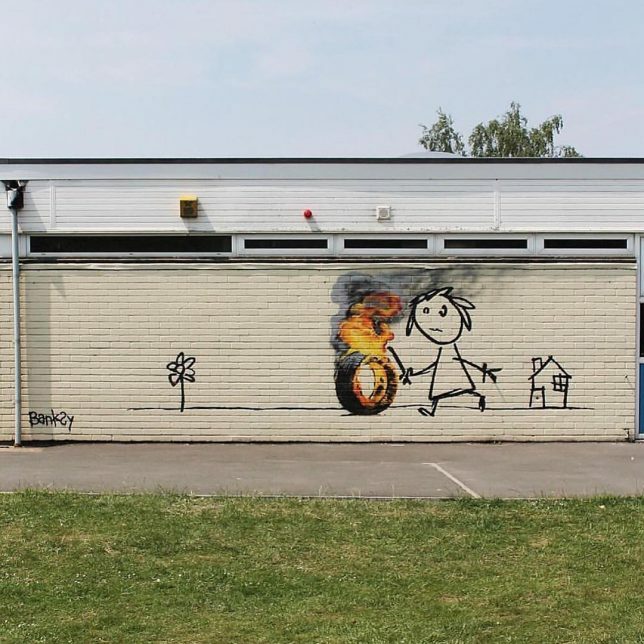 In a somewhat ironic twist, the school is forbidding children from painting over or around the mural, perhaps out of respect or because if its doubtless high monetary value – either way, one can be sure Banksy would approve should one of those students break the rules (images by Jon Kay via Colossal).